The 1,500 reviews helped convince me to not discard this gift without giving it a try. 5 years ago, when I heard “pressure cooker” I thought only of canning produce. When I unwrapped this pressure cooker on Christmas Morning in 2012 I was less than thrilled. Truthfully, I immediately calculated just how much store credit I would get for returning it. Eventually, however, my mother convinced me to give it a try and I was soon hooked. I discovered that modern electronic pressure cookers have come a long way from what I thought of as a pressure cooker. Now that I am in grad school and live in my tiny apartment in downtown Seattle, I actually love this appliance more than ever- as a busy grad student on a budget in an exceptionally expensive city, I appreciate the speed with which I can make quick, healthy meals out of cheap cuts of meat and bulk dry goods. Here are 7 ways (hopefully some that might be new to you) that have me evangelizing on behalf of this kitchen appliance. 1. Dry goods or frozen food to the table in 20 minutes. I hate toting home heavy cans of beans or expensive ready-to-eat packages of rice. Instead, now I buy dry rice, beans, and grains in bulk and using my pressure cooker I can go from dry beans to table ready in under 10 minutes with no prep or planning or babysitting a pot. I suspect that over the past 4 years, my pressure cooker has slowly paid for itself in what I’ve saved being able to buy dry beans and unprocessed rice and grains. Uncle Ben’s Brown Rice “Ready Rice”, 2 cup package costs $1.84 at walmart. Running these numbers, I discovered 54¢ is the cost for the amount of dry rice needed to prepare an amount equivalent to a bag of ready to eat rice which sells for $1.84. Therefore, every time I make 2 servings of rice with my pressure cooker instead of buying ready to reheat rice, I save $1.30. 2. 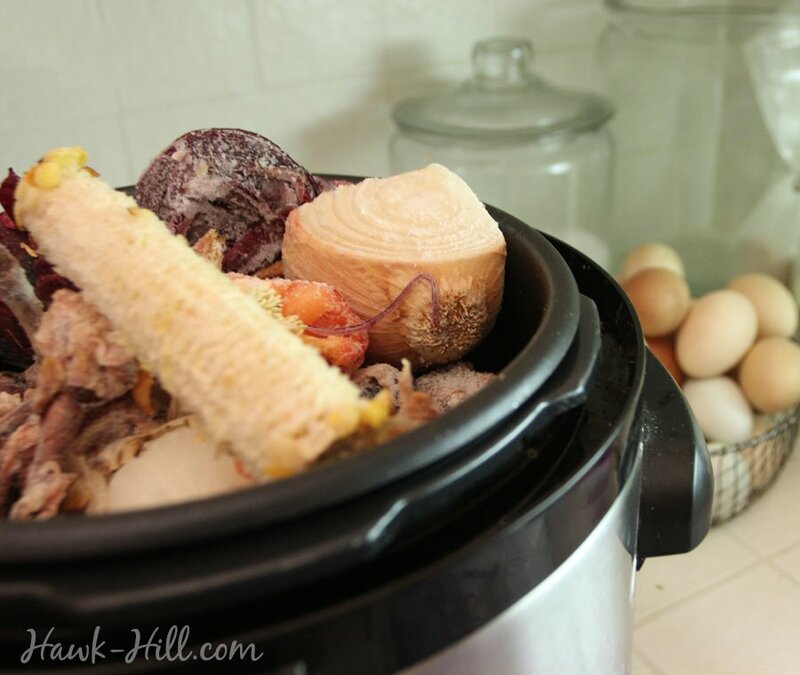 A pressure cooker takes the guesswork out of many hard or labor intensive foods. I never even attempted rissotto before I owned a pressure cooker. Now that it’s a 5 minute saute and a 7 minute pressure cooker cycle, I make it often, because, really, it’s easier than making even macaroni and cheese. Typically risotto takes 14 minutes of constant stirring, but the pressure and heat distribution of the pressure cooker means that I can put the lid on and walk away. 7 minutes later the lid comes off to reveal a perfect risotto every time. Ditto with polenta and grits. 3. From “nothing to eat” to “homecooked” in less time than it takes to go get takeout. When I lived at Hawk Hill and I’d come in hungry and tired from a project outside, or now, when I come home from school tired and starving, I want easy food and can be tempted toward takeout. I discovered, though, that in the time it takes me to shower and cleanup, my pressure cooker can convert uncooked brown rice and a frozen-solid chicken breast into a healthy chicken casserole-type dish. 4. Easy to add whole grains to your diet. Before my pressure cooker I was never sure how to make grains like quinoa, amaranth, or wheat berries. I’d spend way too long in the kitchen fussing over a pot of grains and then inevitably manage to let it burn. Often I relied on easier and less nutritious starches, like potatoes, instead of whole grain complex carbs. My pressure cooker came with dead-on directions for cooking grains- I can turn it on, go outside to water plants, and come inside to perfectly cooked grains that are ready when I am. Even steel cut oats, which normally require a day’s forthought in order to prepare for breakfast, can go from a dry state to table ready in 5 minutes. 5. If you like a crock pot you’ll love a pressure cooker. A pressure cooker is everything a crock pot is, but 5X faster and infinitely easier to clean. I never did well with crock pot cooking because I’m not great at planning meals hours in advance and hated cleaning the heavy crock. A pressure cooker can impart the flavor and texture of a crock pot in a few minutes instead of a few hours. Almost any crock pot recipe works in a pressure cooker if you adjust the time. I’m a big believer that bone broth is part of a healthy diet, but I don’t have time to stew it on the stovetop for hours. My pressure cooker can produce thick, gelatinous broth in less than an hour- and I frequently turn right around and make a week’s worth of rice, beans, and grains using that broth. Re-hydrating dry goods with broth is a great way to add flavor to dry goods while getting the health benefits of broth. I keep two gallon bags of food scraps in my freezer. As I cook, bits of root vegetables and bones and other vegetables (like the corn cob shown) that are leftover get scraped into these freezer bags instead of a compost bin. When the bags are full, the contents get dumped into the pressure cooker with water and a splash of vinegar, cooked on high pressure for 15 minutes, and then strained away from the rich broth.